When you’re on the coast you have to buy saltwater taffy. I’m sure it’s a rule, or law, or at least an ordinance. This week we’re visiting the beautiful, Oregon coast and our travels took us to Cannon Beach. 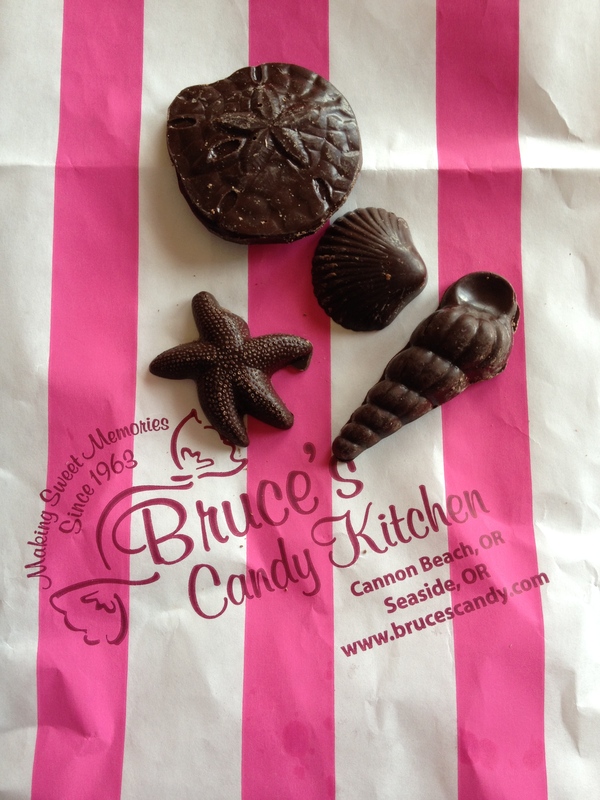 Here we found a great candy store called “Bruce’s Candy Kitchen”. It is filled with every sweet you can imagine and at least 30 flavors of saltwater taffy,(which is a huge weakness of mine.) My favorite flavors of taffy are peppermint and lemon…don’t ask why, I really don’t know. Bruce’s even gives you a card with a guide to the taffy flavors based on their colors. But back to the taffy…according to wikipedia it originated in 1883 when a candy shop was flooded by the salty Atlantic Ocean. read more here. 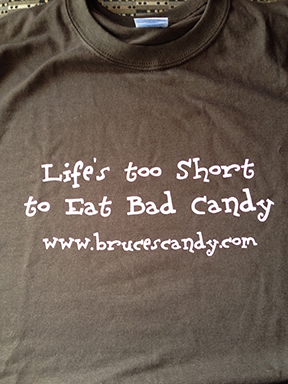 Bruce’s Candy Kitchen is worth a visit, and they have a website, too. Visit it here and prepare to get a candy craving. 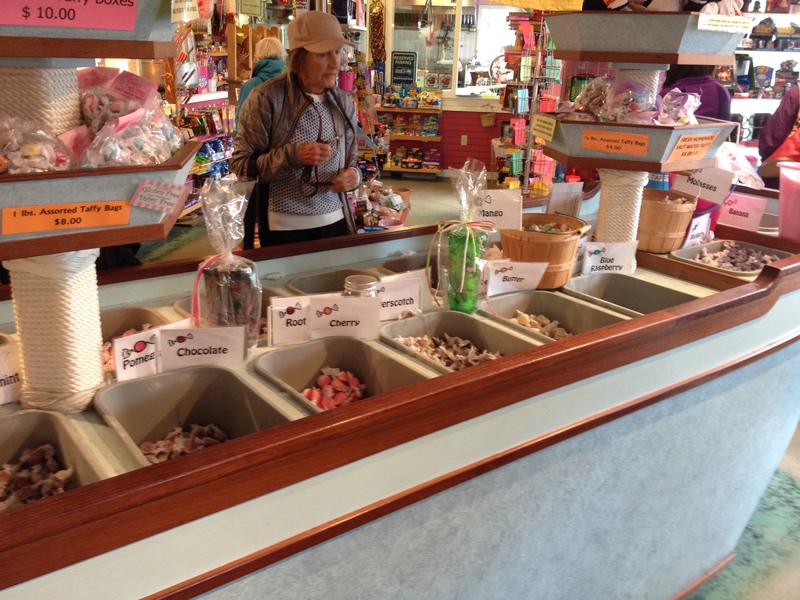 Posted in candy crafts, chewy candy, sweet makers, travels and tagged Cannon Beach, Salt Water Taffy, saltwater taffy, taffy. Bookmark the permalink.